The rapid spread of the mosquito borne viral infection caused by Zika virus throughout several areas of the world, including Latin America and the Caribbean, and worldwide attention for associated potential birth defects, one Northern Arizona University (NAU) researcher is calling for greater public awareness of cytomegalovirus (CMV)—the most common viral cause of birth defects in the United States. Amy Armstrong-Heimsoth, assistant clinical professor of occupational therapy at NAU’s Phoenix Biomedical Campus, began researching CMV after discovering healthcare workers abandoned patients who had the virus, a trend she hopes to reduce through a increased awareness. While CMV can be deadly for some, its risk can be mitigated by taking precautions and understanding transmission of the virus. CMV causes an estimated 400 deaths each year and permanent disabilities in about 8,000 children, according to statistics by the U.S. Centers for Disease Control and Prevention. “If you are practicing the correct precautions like washing your hands and a child’s toys, CMV is no more contagious than anything else,” said Armstrong-Heimsoth, who teaches pediatrics-related topics to NAU occupational therapy students. CMV is primarily a concern for newborns and people with weakened immune systems, although many people who contract the virus report a mild fever or no symptoms at all. 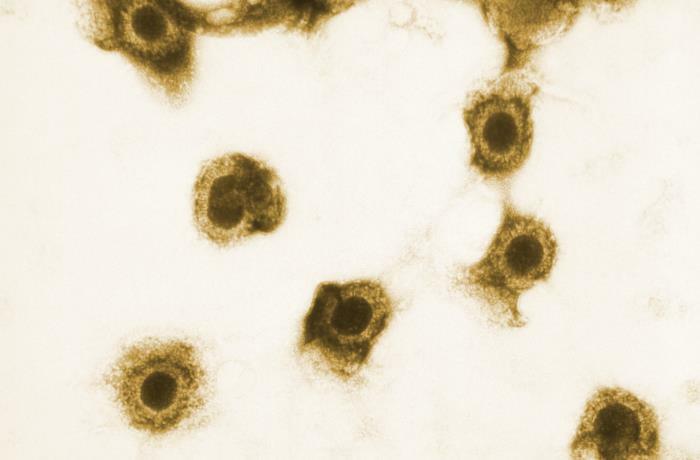 As part of the family of herpes viruses, CMV is spread through bodily fluids, including saliva. The CDC estimates between 50 and 80 percent of adults have contracted the virus, which remains dormant in the body after infection. Treating a pregnant woman for CMV will lessen or prevent long term disabilities of the baby in utero. For a newborn with CMV, treatment mitigates effects but does not remove prior brain damage. There is a three-week window after birth for diagnosing CMV, said Armstrong-Heimsoth, with a six month window for treatment.